In the Style of a classic London Dry Gin the predominant juniper content delivers a pleasing drink with citrus notes and hints of spice. Typically mixed with tonic water, ice and slice. 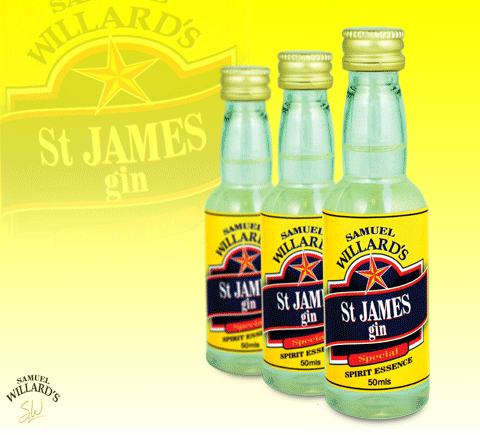 Samuel Willard’s Saint James Gin essence produces 2250mL of spirit from each 50mL bottle.